Dating is supposed to be fun, exciting, and, hopefully, lead to a happy ending. But when you take a process that typically unfolds over the course of months or years and speed it up to a couple of weeks, the journey is bound to be different. And when you take all that with the added pressure of being on national television, well, we call that The Bachelor. We can’t blame contestants for their heightened emotions and, sometimes, hypersensitivity. 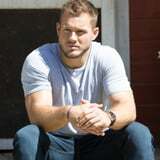 In fact, seeing Colton Underwood hop over a fence, in what seemed like an effort to be free of the cameras, was understandable given the situation. We’ve been gearing up for the big jump-over-the-fence scene since it was initially shown in the season’s trailer. We can only imagine that Colton was dealing with a tough time with one or more of the women. As he walks away from the cameras, Colton says, “I’m f*cking done.” That’s about as much as we know based off of the upcoming episode. When Entertainment Tonight asked Colton how long he was gone after jumping the fence, he said, “I was gone for a while. In that moment, and the feelings I was feeling, I left the show. I just needed time to myself.” The Bachelor had gone MIA, and we bet ones before him wish they could have done the same. Remember that Colton doesn’t have access to a cell phone or other technology, so he was truly by himself. “I’m a resourceful guy. I’m in Colorado, alright? I know how to make a little bonfire, fight off some coyotes, or whatever we got to do,” he joked, noting that he did spend some of that time alone crying. ABC’s vice president of alternative programming, Rob Mills, confirmed on The Ringer’s Bachelor Party podcast on Feb. 4 that despite some reports, Colton was only gone for a few hours, but production did have to send a full-on “search party” for him. The big question on Bachelor Nation’s mind is: what led him to jump over that fence? Well, you’ll have to wait for the episode to see what specifically took it there. However, we do know that his emotions were taking over. “Fantasy Suites week was the biggest week in the whole entire journey,” Colton told The Hollywood Reporter. “The jump was the most emotional and the most physical that I had to be the entire season.” This doesn’t necessarily mean that the jump happened during Fantasy Suites week . . . but it also doesn’t mean that it doesn’t either. “I will also say that fence jump is the most pivotal moment. That was a game-changer. That night changed how everything went,” Colton said. There has been plenty of drama this season, so we can’t count out any of it for being the reason for the soon-to-be infamous fence jump. Caelynn Miller-Keyes and Hannah Brown have both been vocal about their feud, which started way before the show began taping. The more recent drama between Nicole Lopez-Alvar and Onyeka Ehie might have also brought Colton to his wits’ end. Or maybe he’s just straight-up overwhelmed and needs a damn minute to himself. Watch Colton hop the fence at the 1:12 mark ahead, and stay tuned for The Bachelor finale coming up soon!